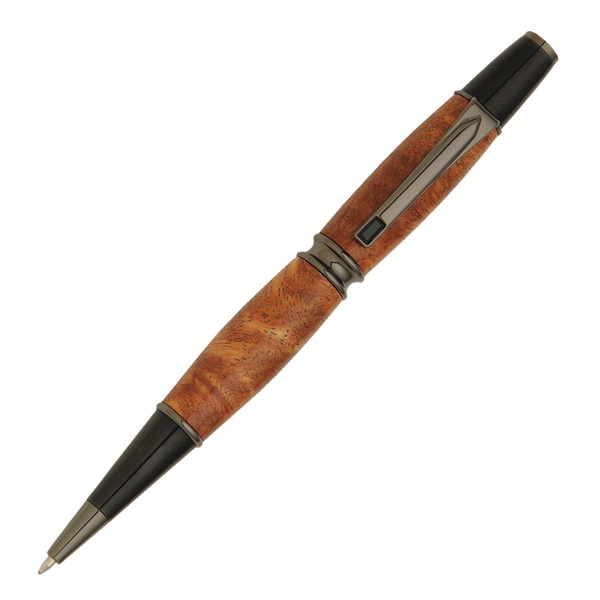 Patrizio Gun Metal Twist Pen [PKPATPENGM] - $42.54 : AnkleBiter Woodworks, When all else fails, send in the dacschund! Patrizio - derived from patrician - the governing elite, members of territorial nobility. This pen epitomizes the class and flamboyant nature of its namesake. Simple but elegant lines, perfect symmetry and classic back styling, and black Swarovski crystal on the clip. Uses Cross style twist pen mechanism and refills.